ColecoVision.dk Homebrew Section Presents: Jean-Michel Girard. Jean-Michel GIRARD is French, 50 years old (from 1967) and he's currently working in an IT company doing Internet Payment. 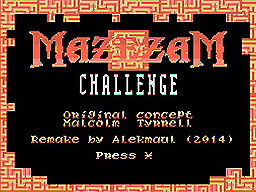 Mr. Girard was the man who programmed the ColecoVision OD emulator for the GCW Zero. in the summer 2013. For our ColecoVision is Mr. Girard also a very skilled programmer. Girard are working on several ColecoVision games at the moment. 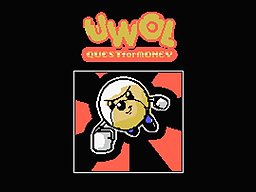 Bagman Super Bagman Uwol "Quest For Money"
All those nice games will see the daylight in 2015/16/17. 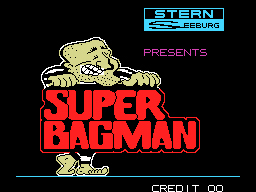 The first ColecoVision game from Mr. Girard was Bagman. 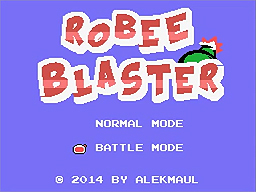 This game was finished in early 2015. It should have to be Bagman Super game, but this version was cancelled before deadline. All Mr. Girad's ColecoVision games will be published via CollectorVision Games. To get in touch with Mr. Girard, try this: e-mail.